In just a few weeks a new law will be going into effect in North Carolina called “The Hassani N. Wesley Students’ School Bus Safety Act.” This act was passed earlier this year, but is scheduled to come into effect on December 1st, 2013. This bill will ultimately create harsher penalties for North Carolina drivers who illegally pass school buses. The name of the bill originated from the unfortunate death of 11-year old, Hassani N. Wesley, who tragically died in December 2012 in Forsyth County, as he was struck by a vehicle which made an illegal pass of a stopped school bus. Unfortunately Hassani Wesley has not been the only fatality this calendar year – on October 17th, 2013 MaKinzy Smith, a Rowan County teen was killed after he was hit by a car while crossing a two-lane road northeast of Salisbury to board his bus. Makinzy Smith’s death marked the 5th fatality from school bus-related collisions this year and the 13th student killed since 1998 in North Carolina after motorists illegally passed or did not heed a bus’s stop sign arm. It goes without saying that everyone, state educators, politicians, and transportation authorities are welcoming the new law in hopes that the stricter punishments will change this growing statistic. Pursuant to the current state law it is illegal to pass a stopped school bus when a school bus’ mechanical stop arm is out or flashing red lights are on. Passing a stopped school bus is categorized as a misdemeanor, and if convicted, the driver will receive 5 points on their license and up to a $200 fine. However, if a driver strikes an individual it is categorized as a Class I felony and if the accident results in death it is then a Class H felony. On December 1st, 2013, under the Hassani N. Weslet Students’ School Bus Safety Act, a driver who passes a stopped school bus will be charged with a Class I misdemeanor and receive a minimum fine of $500 – a substantial increase from the previous $200 maximum. In case of a second conviction under this new law within a three-year period one will have their driver’s license revoked for one year. If one is charges with a violation of this new law, they are not eligible for a prayer for judgment (P.J.C.) continued under any circumstances. 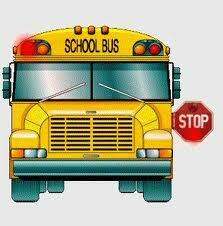 If you or anyone you know is charged with passing a stopped school bus, before or after December 1st, 2013 then please contact Collins Law Firm at 910-793-9000 910-793-9000 for a confidential consultation.